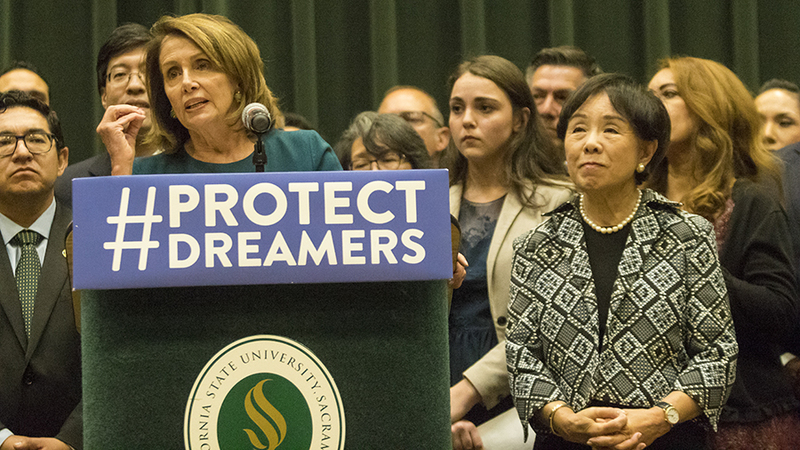 House Democratic Leader Nancy Pelosi, left, and Congresswoman Doris Matsui, right, deliver separate speeches urging Congress to pass the Dream Act during a news conference in the University Union Redwood Room Monday. 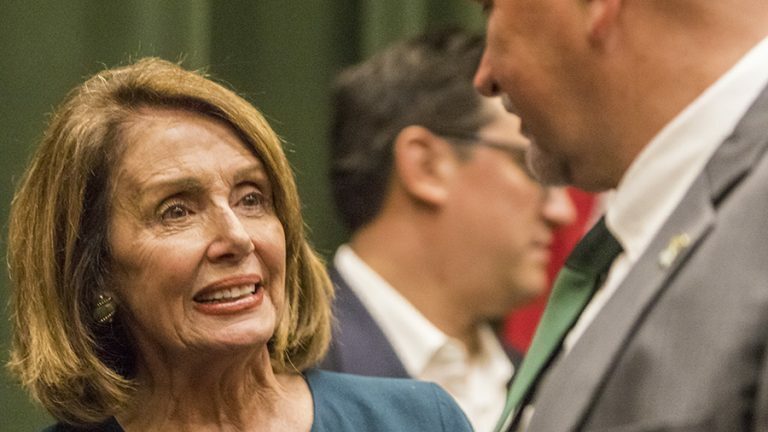 House Democratic Leader Nancy Pelosi speaks with Sac State President Robert Nelsen during the press conference in the University Union Redwood Room Monday. 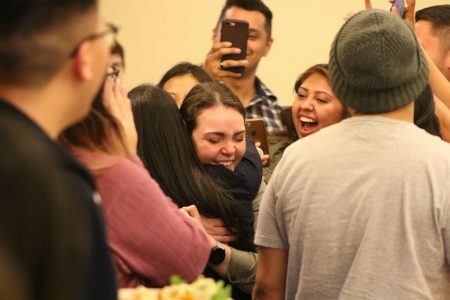 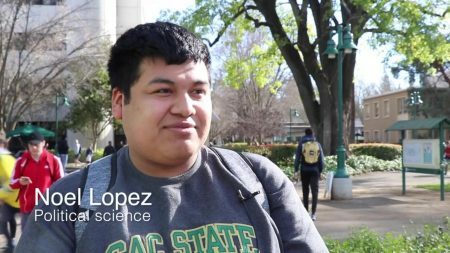 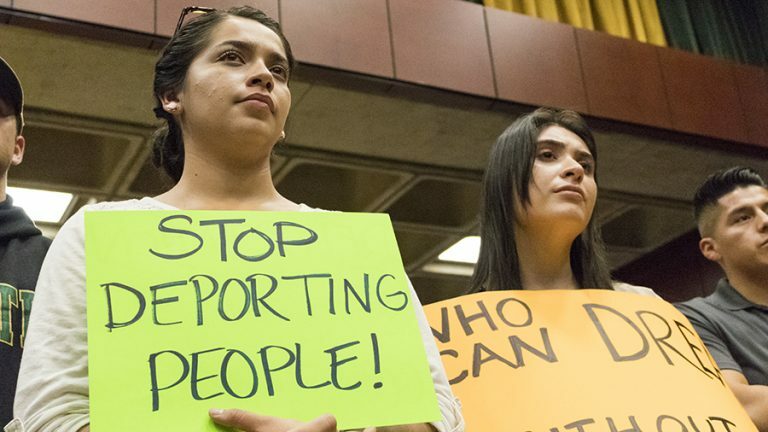 Sacramento State students seniors and music majors Beatriz Figueroa, left, and Diana Campos, right, hold signs opposing deportation of DACA recipients at the news conference featuring House Democratic Leader Nancy Pelosi, Congresswoman Doris Matsui and other local legislators in the University Union Redwood Room Monday. 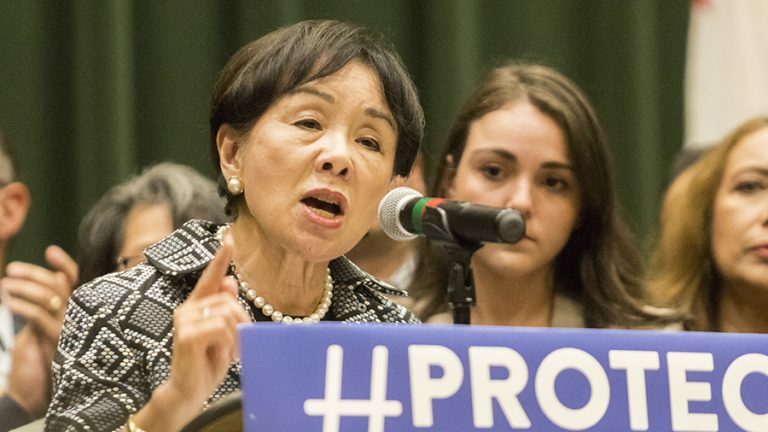 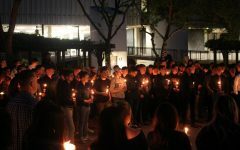 Congresswoman Doris Matsui urges Congress to pass the Dream Act in her speech during a news conference in the University Union Redwood Room Monday.